Stacey Valentine Fielding, Esq. Stacey Valentine Fielding, Esq. Stacey Fielding is a partner at A.Y. Strauss and serves as chair of the Private Client Services practice group. Stacey leverages her deep experience in analyzing, structuring and administering sophisticated estate plans to assist individuals and families achieve their wealth planning goals. In an intricate and ever-changing complex area of the law, clients not only appreciate Stacey’s vast knowledge, but also her unique ability to communicate clearly and plainly, avoiding overwhelming jargon. She makes the estate planning process straightforward and works tirelessly to make sure that her clients understand the implications of the plans they set in place. Stacey’s practice encompasses all aspects of trusts and estates law. She handles income, estate, inheritance, gift, and generation-skipping transfer tax issues, and helps clients maximize the benefits of charitable giving. As a valued advisor and empathetic counselor, Stacey’s clients often entrust her with the fiduciary duties of executor or trustee. Stacey also assists estate and trust beneficiaries and fiduciaries to enforce their rights and adhere to their obligations in the event of a dispute. Stacey also serves as legal counsel to numerous financial institutions and corporate trustees, assisting those entities in the implementation of their fiduciary duty while addressing the risks inherent to the role of executor or trustee. In addition to providing estate planning services, Stacey also assists clients with the administration of estates following the death of a loved one. During this challenging time, Stacey streamlines and guides her clients through the process of probating wills, collecting assets, paying final debts and expenses, filing appropriate tax returns, making distributions and generally completing the administrative tasks required to protect the interests of the fiduciaries and/or beneficiaries of an estate. 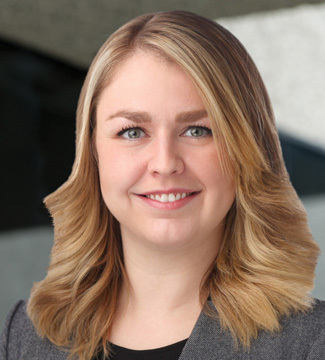 More broadly, Stacey also advises clients in general corporate matters arising in closely-held family businesses and works closely with members of the firm’s real estate department to assist clients purchasing, selling or investing in real estate. She also has experience working with individuals with special needs, with an emphasis on providing guidance to families and representing individuals in guardianship matters. Prior to joining A.Y. Strauss, Stacey served as a trusts and estates attorney at an institutional law firm, and before that worked in-house at one of the nation’s largest trust companies structuring and advising on sophisticated planning techniques for high-net worth families.